This would be great for a middle Eastern themed party. 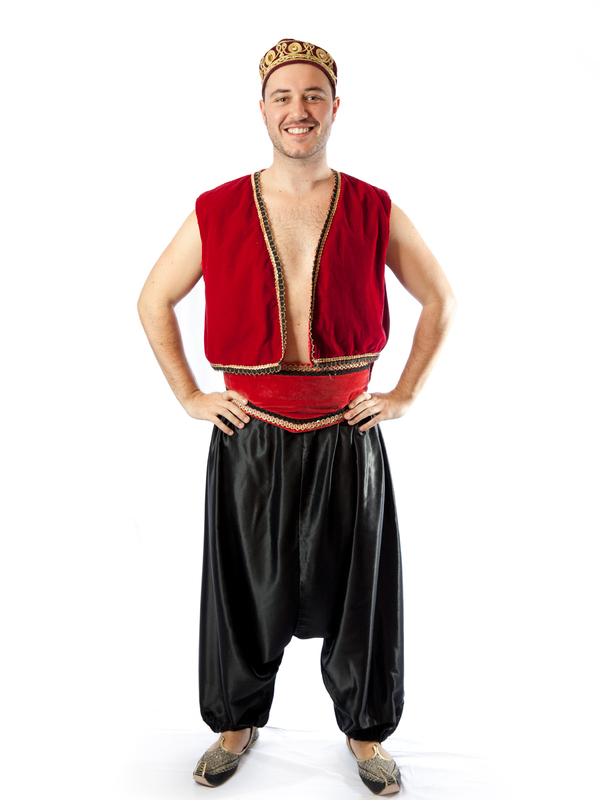 Aladdin style costume with harem pants, waistband, hat and vest. You can even add arabian slippers to complete the look.